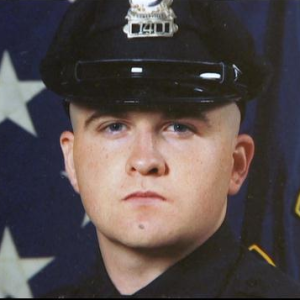 BOSTON UPDATE: Is Officer Collier’s Killer Still at Large? Is Officer Sean Collier’s Killer Still at Large? Is it possible that, in the rush to paint Tamerlan and Dzhokhar Tsarnaev as cold-blooded killers, the FBI is ignoring evidence that someone else could have killed MIT Police Officer Sean Collier? It is said that the first casualty in war is the truth, and the “war on terror” isn’t exempt. There are plenty of examples of U.S. government agencies exploiting “the fog of war” to gain a propaganda edge or rally public opinion against whoever happens to be in the crosshairs. Whether it’s immediately pinning the downing of Malaysia air MH17 on Russia, or whether it’s implicating Syria’s Bashar al-Assad in a chemical weapons attack, the ploy works the same way every time: immediately, loudly and repeatedly blame the enemy and ignore all contradictory evidence. That’s the kind of environment the government has been trying to create through a campaign of leaks, since before Dzhokhar Tsarnaev’s arrest and indictment on 30 charges including Collier’s murder. Judge George O’Toole Jr. this week rejected a defense motion to move the trial out of Boston on the grounds that too many potential jurors had made up their minds. He also delayed the trial’s start until Jan. 5. With that in mind, it’s worth taking a moment to review some lingering questions surrounding the death of Sean Collier. It’s safe to assume that federal investigators aren’t pushing too hard to uncover an alternative scenario to that unfortunate event, especially now that their evidence will soon be on display at trial. Again, it bears repeating that the Tsarnaev brothers very likely were somehow involved in the violence that erupted in and around Boston that week. But did they kill Sean Collier? We do know that they did not rob a 7-Eleven store. What makes this significant is the fact that the police claimed they did—even after they had conclusive evidence, on film, that someone else had done it. So why should we necessarily believe what they say about who shot Collier? Once again, that’s a Hispanic male, black coat, a black cowboy hat and jeans. Hispanic male, possibly wearing a cowboy hat, he was last seen on Vassar Street in Cambridge, six rounds were fired and he is currently armed. Seen on Vassar Street? That’s where Sean Collier was shot. Around midnight, Cambridge police received a report of a carjacking that ultimately led to the shootout in neighboring Watertown, Tamerlan’s death, and Dzhokhar’s escape. After the dust settled in Watertown in the early morning hours of April 19, Massachusetts State Police Superintendent Timothy Alben told reporters at a press conference that the Tsarnaev brothers perpetrated all of the violence that occurred in Cambridge and Watertown that night, including the robbery of the 7-Eleven. During that same press conference he made reference to the photo of Dzhokhar wearing a hoodie, widely circulated by law enforcement, claiming it had been taken by a security camera at the 7-Eleven. Numerous news outlets reported the series of events as exactly that: The brothers committed a robbery at 7-Eleven, shot Officer Collier, hijacked an SUV, and then engaged police in a shootout in Watertown. But there was one glaring problem with Alben’s account, and 7-Eleven’s director of corporate communications picked up on it. She pointed out to reporters later that day what law enforcement already knew: the security video clearly shows the 7-Eleven suspect’s face—and it looks nothing like either Tsarnaev. In addition, she said the photo of Dzhokhar was not even taken at a 7-Eleven store. Okay, so they didn’t rob the 7-Eleven. We were told it was just a coincidence; the brothers just happened to be at the convenience store around the time of the robbery, again, according to Massachusetts State Police Superintendent Timothy Alben. How Did Police Get It So Wrong? But how did Alben get it so wrong, even though the Cambridge police were in possession of an eyewitness description and a photograph of the real suspect in the robbery? And why did he continue to place Dzhokhar at that same store even though he had been informed that it was a different store? Robert Haas, the Cambridge police commissioner, can be seen standing behind Alben as he misrepresented evidence from Cambridge during the press conference. Why didn’t he speak up? And if the 7-Eleven executive had not come forward with the facts, would the police have continued to falsely accuse the Tsarnaevs of the robbery? In any case, law enforcement insists the Tsarnaevs shot and killed Officer Collier—it was caught on camera. Only in this case, it wasn’t. The security video at MIT does not show the faces of the two assailants, according to three different law enforcement officials. Then there were the early reports that Officer Collier was responding to a disturbance when he was shot. Later, we were told that that report was erroneous. Instead, he was simply sitting in his cruiser watching for people to make illegal turns. Why the effort to hide this simple fact initially? Did it become clear to law enforcement that connecting Collier shooting in any way to the 7-Eleven robbery might raise some troubling questions? And another thing: the carjacking took place in the Boston neighborhood of Allston across the river from Cambridge. But it was originally reported to have occurred at Third Street in Cambridge by the Middlesex County DA, the Cambridge police Commissioner, and the chief of MIT Police. That’s just a couple blocks away from where Collier was shot—and is smack dab in the center of those three law-enforcement officials’ precinct. How could they possibly get that wrong? In a strange twist, Sen. Chuck Grassley revealed that there were “multiple teams of FBI employees” conducting surveillance in and around Central Square around the time this all went down. The 7-Eleven in question happens to be right in the middle of Central Square. The Tsarnaev brothers just happened to pass through that same area, as we learned from Superintendent Alben. Wait, what? Connected to the assailants? How did the FBI know what was connected to the assailants? Even stranger, the local Boston Fox affiliate discovered that FBI was also conducting surveillance on MIT students then thought to be connected with the bombing. Doesn’t it seem odd that both the robbery and the shooting took place in areas where FBI surveillance teams were operating—without the knowledge of local law enforcement? Talk about a coincidence. The gun Tamerlan Tsarnaev left in the street after the shootout in Watertown was a P95 Ruger 9mm with an obliterated serial number. It was allegedly given to them by their friend Stephen Silva who was recently arrested for heroin dealing and possession of a firearm with a defaced serial number. Officially, there is no evidence that that was the gun used to shoot Collier. However, off the record, law enforcement is telling the media—and therefore the public—that the weapon is one and the same. Either it is the gun, or it isn’t. Why be coy about it? So, law-enforcement blamed the 7-Eleven robbery on the Tsarnaevs for as long as they could, despite eyewitness description and surveillance photos of a very different suspect. They also blame the shooting of Sean Collier on the Tsarnaev brothers, despite the fact that the security camera does not identify the suspects, and there were no eyewitnesses to the shooting that we know of. And with all this uncertainty, why is law enforcement working so hard to pin everything on these two brothers? Could it have something to do with the FBI’s very reluctant admission, forced by the Russians, that it knew who the Tsarnaevs were long ago because the Russians warned them about Tamerlan Tsarnaev—and that the Bureau even interacted with the now dead elder brother? Correction: The original story misidentified Allston as a suburb of Boston when it is fact a neighborhood of Boston. We have fixed the error.